To invest in Duke’s faculty as scholars and leaders of the university’s intellectual communities, Provost Sally Kornbluth has offered three grant opportunities this year as part of the Together Duke strategic plan. The Offices of the Vice Provost for Interdisciplinary Studies and the Vice Provost for Academic Affairs oversee these seed grant programs: Intellectual Community Planning Grants; Provost Pilot Research Grants; and Research Collaboratories. The latter two programs are accepting proposals through December 15. Invasive cervical cancer is the second most common female cancer in developing countries and the seventh in developed countries. Current screening relies on the bivalve speculum, which many women resist because of anxiety, fear, discomfort, pain, embarrassment, and/or vulnerability during the procedure. To address this limitation, Duke’s Center for Global Women’s Health Technologies developed the Calla, an alternative to the standard speculum. The Calla has been used with ease by numerous female volunteers for self-cervix imaging and is currently in clinical studies. This faculty group believes that the Calla can also be instrumental in creating an artistic platform for the cervix. An art-based initiative will begin the process to change the narrative of shame and invisibility, address the need to educate women on their reproductive anatomy, and empower them to make informed decisions concerning their reproductive health. The group will bring together woman-centric technology for visualization of her reproductive anatomy, live imagery, and storytelling created by women for women. This new working group is focused on understanding and harnessing the nature and role of extracellular vesicles (EVs) in controlling intercellular communication and effects. Interest and investigation of EVs is burgeoning across a broad array of fields, but there remain critical disconnects and ripe untapped synergies. The broad interdisciplinary nature of these potential collaborations holds promise, but it has been difficult to identify funding mechanisms that span such a breadth of disciplines. The group will identify research questions, share established and developing methods, communicate with a broad array of funding organizations to understand opportunities, and develop proposed research programs. The investment in this diverse community will result in an established interdisciplinary network of EV-related expertise across Duke’s campus and beyond, the creation of data-sharing formats to support integrated data gathering and analysis, and the development of multiple proposals for target funding opportunities. Prostate multi-parametric MRI was initially used for staging and localization of prostate cancer. In recent years, physicians have adapted the technique for advanced diagnostics, tumor characterization, and guidance for both targeted biopsy and localized interventions. Although prostate mpMRI has been shown to perform well in different clinical scenarios, it has yet to be standardized clinically due to the need for additional scientific evidence on such matters the characteristics and characterization of lesions that are not detected by mpMRI, racial differences in mpMRI outcomes, and optimal time to use mpMRI for the diagnosis of prostate cancer. Faculty members will meet monthly to design research projects and identify internal and external funding opportunitiesf. Meetings will be open to all interested researchers from participating departments. Guest speakers within Duke will present findings from their research and recent literature reviews. This undertaking is expected to expand current funded mpMRI interdisciplinary projects, and provide the foundation to pursue high-profile funding opportunities. Society is confronted by numerous risks, including natural disasters, climate change, cyberattacks, financial shocks, terrorism, and public health threats. Humanity’s ability to thrive in the 21st century will depend on our capacity for anticipating, mitigating, and adapting to these risks. As a result, we need to explore new technologies, practices, and policies that prevent risks and improve resilience by being able to successfully perform in unexpected situations, quickly recover from setbacks, and effectively adapt to change. 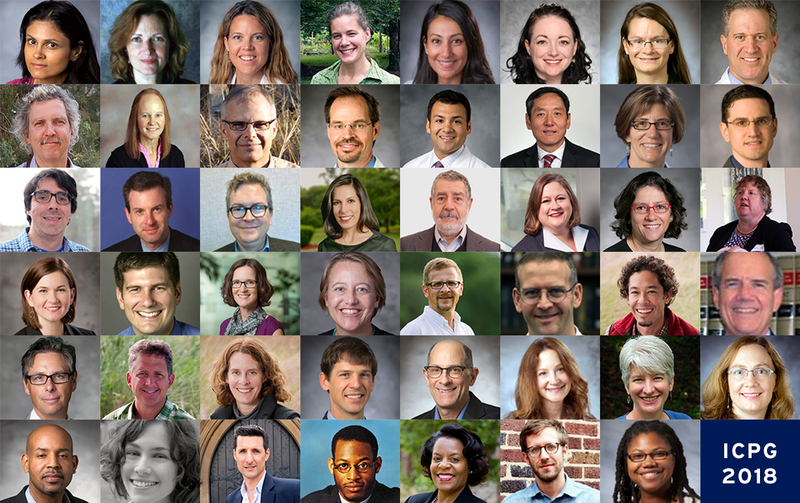 This faculty group will enhance synergies among researchers, educators, and practitioners with diverse perspectives on risk and resilience, while raising awareness of Duke’s already significant risk‐related teaching and scholarship. The group will initiate a university‐wide research, teaching, and engagement program focused on the detection, analysis, regulation, and mitigation of risk. In the longer term, faculty envision a coordinated extramurally‐funded center that is inclusive and supportive of other risk‐relevant research and education efforts across campus. This group will explore the creation of a program on environmental and economic justice in rural America that would formalize the ongoing collaboration between the Duke Human Rights Center at FHI, the Nicholas School of the Environment, and the Alabama Center for Rural Enterprise (ACRE). Since 2014, faculty and students at Duke have been collaborating with Catherine Flowers from ACRE to address the inadequacy of wastewater treatment infrastructure in Lowndes County, Alabama. The situation exemplifies the social and environmental inequalities facing rural communities of color in the American South, which include endemic poverty, lack of economic opportunity, hazardous health conditions, and inadequate infrastructure. Deepening Duke’s relationship with ACRE and expanding research and engagement efforts to other rural communities in the U.S. will allow faculty and students to tackle a wide array of problems associated with supporting sustainable rural livelihoods. The grant will allow faculty members to explore how to create a larger umbrella project on environmental and economic justice in rural America, learn from other centers about their activities and funding models, and sustain Duke’s collaborative work with ACRE. Read about the 2017 recipients of Intellectual Community Planning Grants, and learn more about the Provost Pilot Research Grants in the Humanities and Social Sciences and the Research Collaboratories in Population Health; Race, Religion, & Citizenship; and Energy & Water (proposals are due December 15).